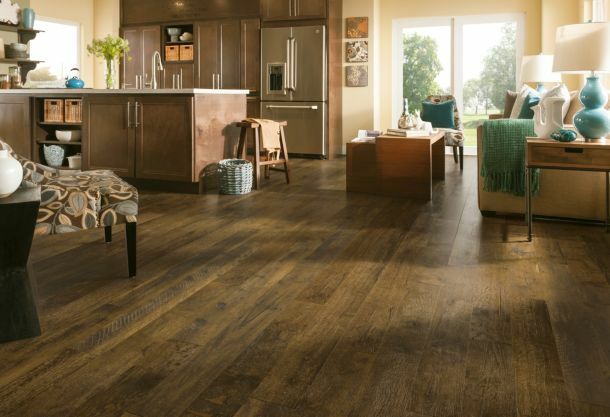 Laminate floors are on the rise like never before. 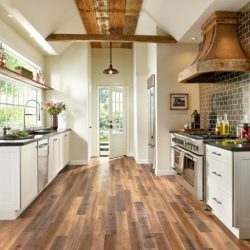 They are becoming stronger competitors in the flooring industry as they continue to improve in performance and appearance. 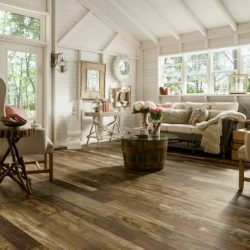 Advancement in technologies have allowed manufacturers to produce laminate floors that mimic solid hardwood, traditional, exotic, reclaimed, and vintage floors for a fraction of the price. 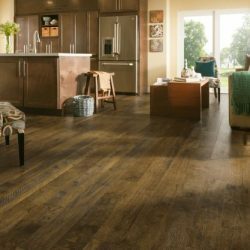 On top of the visual aesthetics, laminate floors also offer scratch and stain resistant options and even have built-in anti mold properties. Incredible right? Yea, I think so too! The protective layer– Top layer that protects the design layer from scratches, wear, fading, damage, etc. The decorative layer– The Design layer made of high-resolution images of natural materials, such as wood. 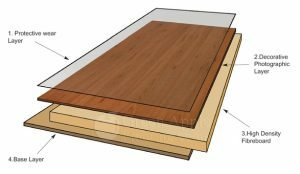 The backing layer– Constructed to resist moisture to prevent board warping. 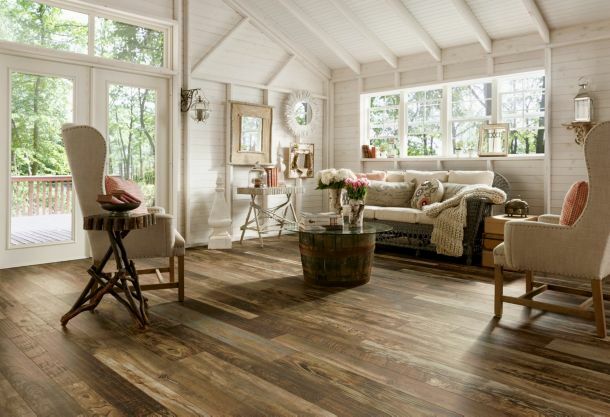 It’s an inexpensive alternative option to hardwood floor. It’s extremely difficult to tell the difference between solid hardwood and laminate wood. 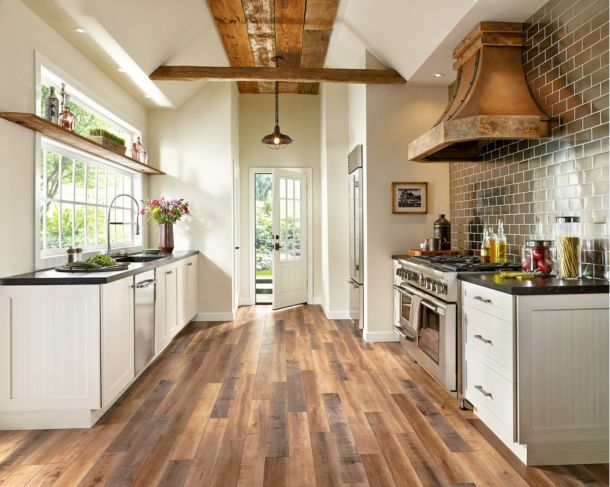 Designer laminates appear to have the same stain, graining, and texture as hardwood. 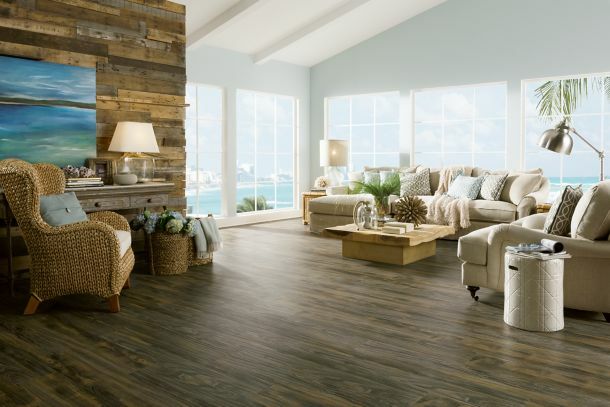 Laminate flooring is very versatile and can tailor to the look and style of your space. Maintenance is extremely low. Cleaning laminate floors is an easy process. Best to stick with dry cleaning methods that don’t leave excessive water. Keep protective mats at entryways to keep dirt and moisture off of the flooring. 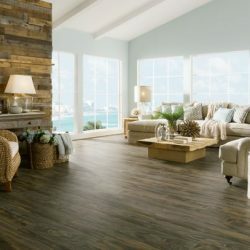 As you can see, choosing laminate floors can be a great option for those looking for amore affordable option without sacrificing the look they are trying to achieve. 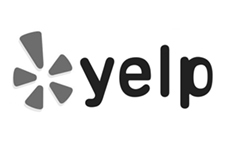 Give us a call today so we can help you pick the right laminate! 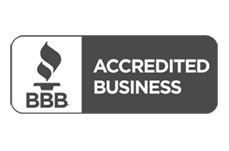 Our installation services cover the entire surround Phoenix area. 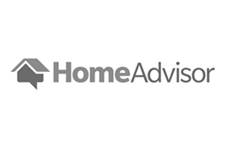 Click here for a free in home estimate!